SBOMax is a complete end to end infrastructure service from Reliance Data Center which offers reliable, cost effective, scalable and adaptive SBO hosting solution. It helps organisation focus on core business, minimise risk, and get complete peace of mind. SBOMax provides greater flexibility and faster deployment to realise quick time to value and better control on implementation budget. 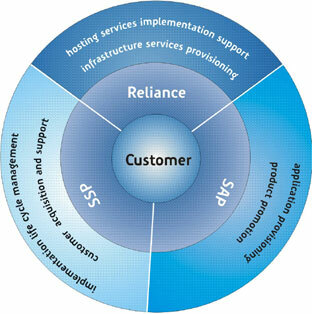 Here, SAP application will be hosted in Reliance's state of the art level 3+ data centers, backed by Service Level Guarantees and proven accreditations, which ensure no downtime, no lost transactions and deliver the fastest application response times. Our IT platforms will enable you to scale as your business grows and we can specifically tailor for companies looking to offer alternative deployment. Also there are predictable costs with a fixed monthly hosting fee - no surprises.